It’s no secret – email marketing has become vastly popular in the last 10 years. And for a good reason: it’s super effective. In fact, according to EMarketer, 80% of retail professionals quote email marketing as their greatest driver of customer retention. Besides being an incredible tool for retailers and B2C marketers, email marketing also works wonderfully for B2B marketers. Nearly 60% of B2B marketers say that email marketing is their number one channel in terms of revenue generation, according to WordStream. 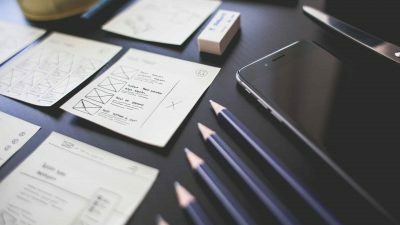 Now, what if I told you that marketers came up with an even more efficient way to use email marketing to generate more revenue? You guessed it, it’s called email remarketing. 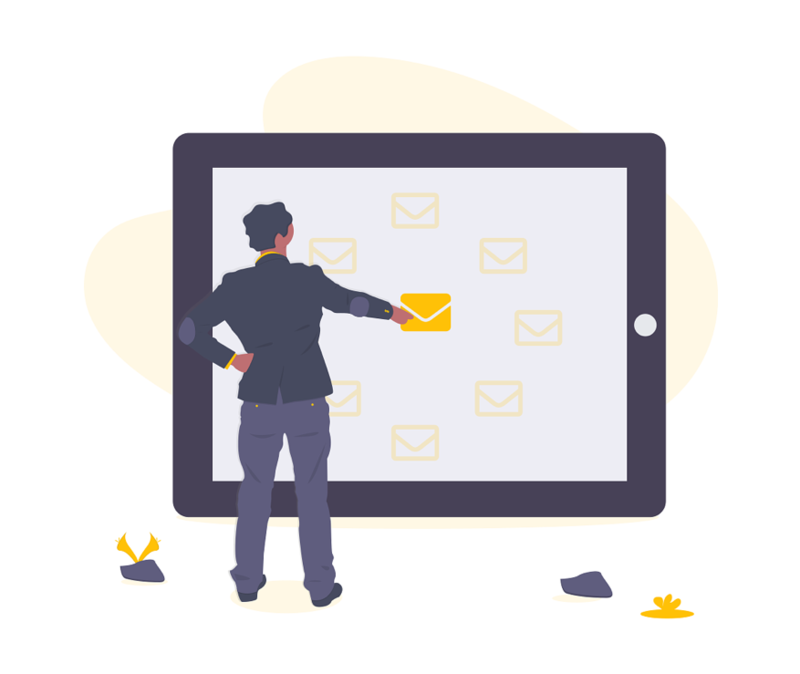 Email remarketing consists of capturing and using information about your customers in order to achieve better marketing results through personalized email marketing campaigns. When a visitor browses a website, marketers can access navigation information using a browser cookie: a small file that tracks behavior and actions for each visit. 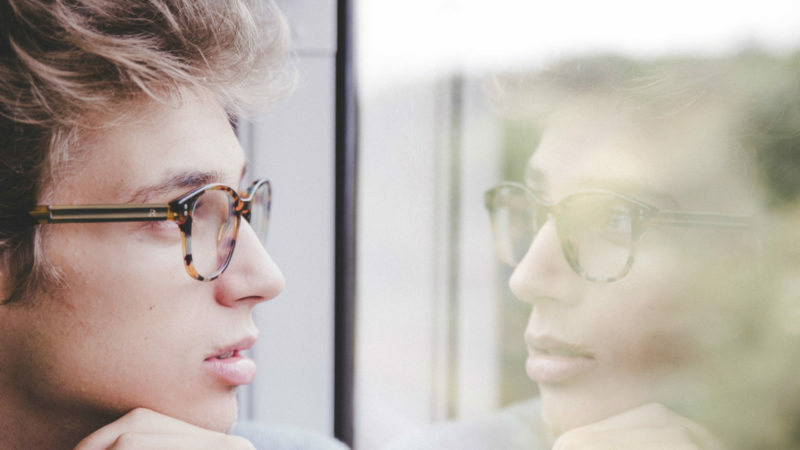 Similar to retargeted ads, email retargeting campaigns use behavioral and action-based information so that you as a marketer can tailor personalized email campaigns. But email retargeting can also work the other way around. Marketers can use their email lists to generate retargeted ads on social media and display networks. Now let’s jump on why you should use email remarketing. Email remarketing campaigns allow marketers to produce highly targeted, highly converting campaigns. 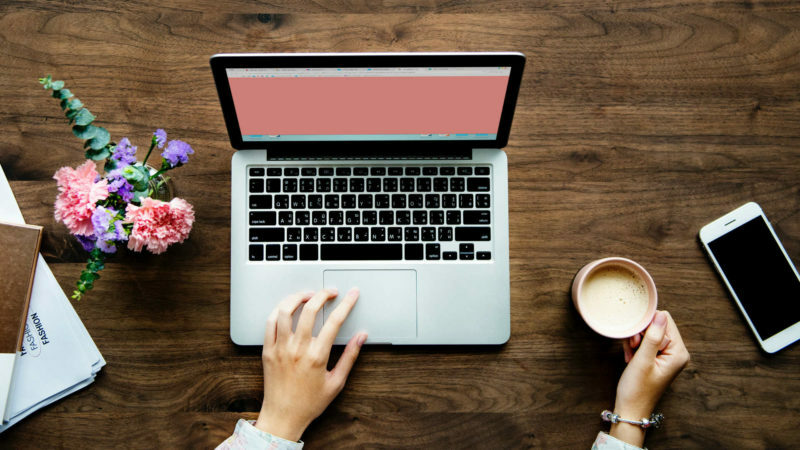 Because they work on the same principles found in retargeted ads, email remarketing can achieve better marketing results compared to traditional digital advertising like Facebook Ads and Google AdWords campaigns. Let’s see what email remarketing can do. You know how most visitors will probably visit one or two product pages before they just…leave? Well, email remarketing can use tracked information to display super relevant ads in emails: you could show your customers special offers related to that product they just saw. If used wisely, email retargeting helps your company re-engaging inactive customers and increasing customer retention among active users. Email remarketing allows for personalized and relevant ads. And people will thank you for that: Criteo reports that retargeted ads perform 10x better when it comes to clickthrough rate. Similarly, the same source reports that customers who have already visited your website are 70% more likely to convert than new visitors. That’s a persuasive argument, for sure. With increased clickthrough rates and more chances to convert, your retargeted customers will bring in more revenue for your company. In fact, SEO-specialist Moz reports that email remarketing conversions can reach up to 40%, compared to an e-commerce average of 2-4%. That’s because your campaigns hit just the right person at the right time. Email remarketing was basically invented to reduce cart abandonment. According to the Baymard Institute, nearly 70% of shoppers abandon their carts. Email remarketing is a huge opportunity to recover this “lost sale”. 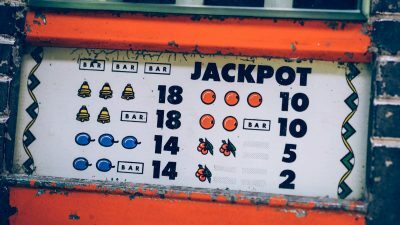 Like display ads, email remarketing ads will allow you to target your customers with the products they’ve just considered, say 2 hours ago: Business Insider Intelligence reports that post-cart abandonment emails have a 40% open rate and a 20% CTR. 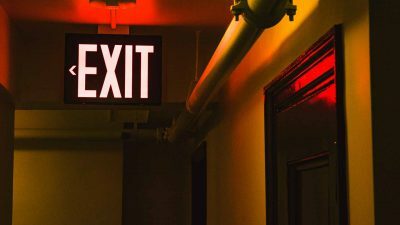 Email remarketing produces a FOMO effect: this might just be your customers’ last chance to buy that product at a discounted price. 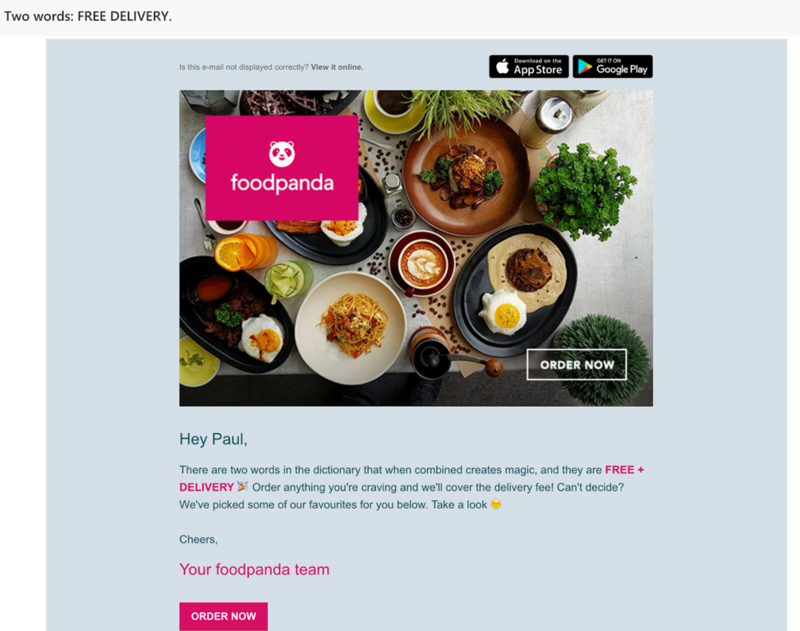 FoodPanda knows that hunger cannot wait, so they retargeted me with two magical words: “FREE+DELIVERY”. Enough to convince me that I should try that Indian restaurant. CoSchedule’s email remarketing campaign is smart and triggered after you’ve visited their pricing page. You’ll notice that their email comes with a strong value proposition: a free 30 min demo with an expert plus a link to schedule that demo. It’s a smart move to bring uncertain customers back in the sales process. 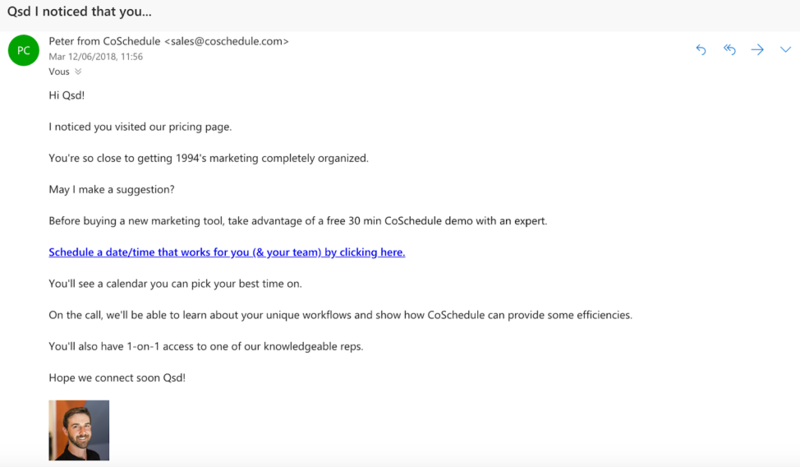 Interestingly, CoSchedule’s email is plain text and doesn’t contain any image: it’s a common practice to enhance the “personalized” feeling of it. 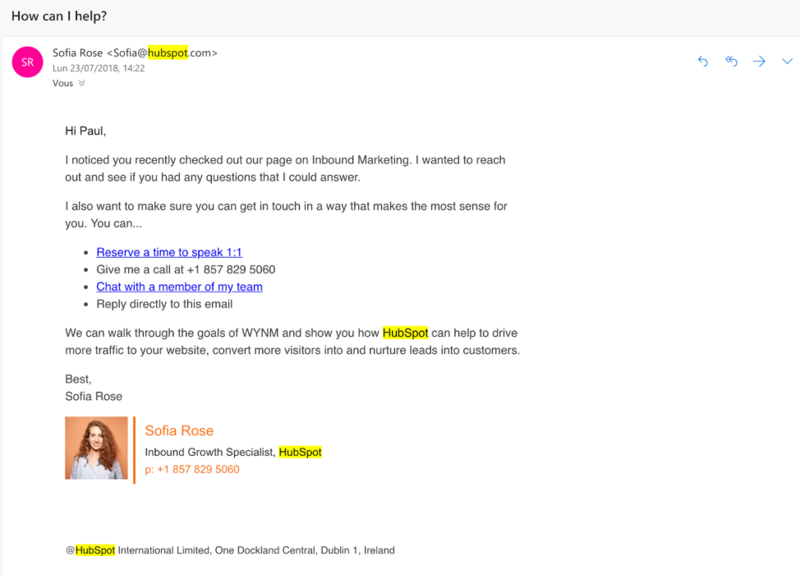 Similarly to what we just saw with CoSchedule, Hubspot also triggers an email sequence following your visit on their Inbound Marketing page. Notice that they also include a call-to-action to book a chat with a salesperson. 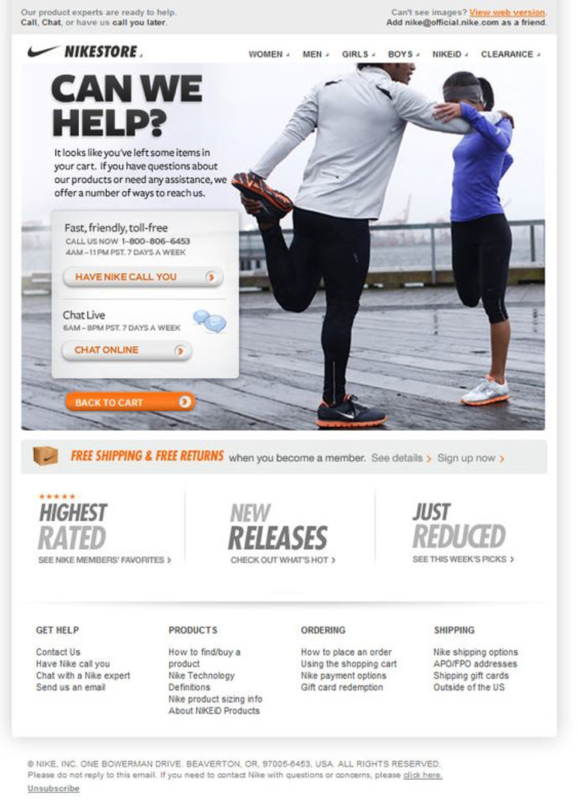 Back to e-commerce and big names, Nike triggers a retargeted email after you’ve left some items in your cart. 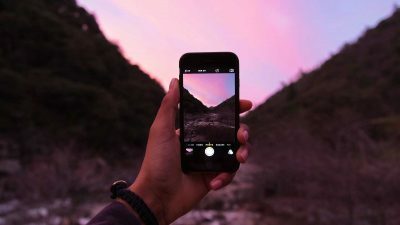 While they don’t display your abandoned items, they insist on having you talk with a sales representative over the phone or through their online chat. Finally, they also heavily highlight their “FREE SHIPPING – FREE RETURNS” policy in order to convince undecided customers. NB: shipping cost is one of the main reason for cart abandonment. 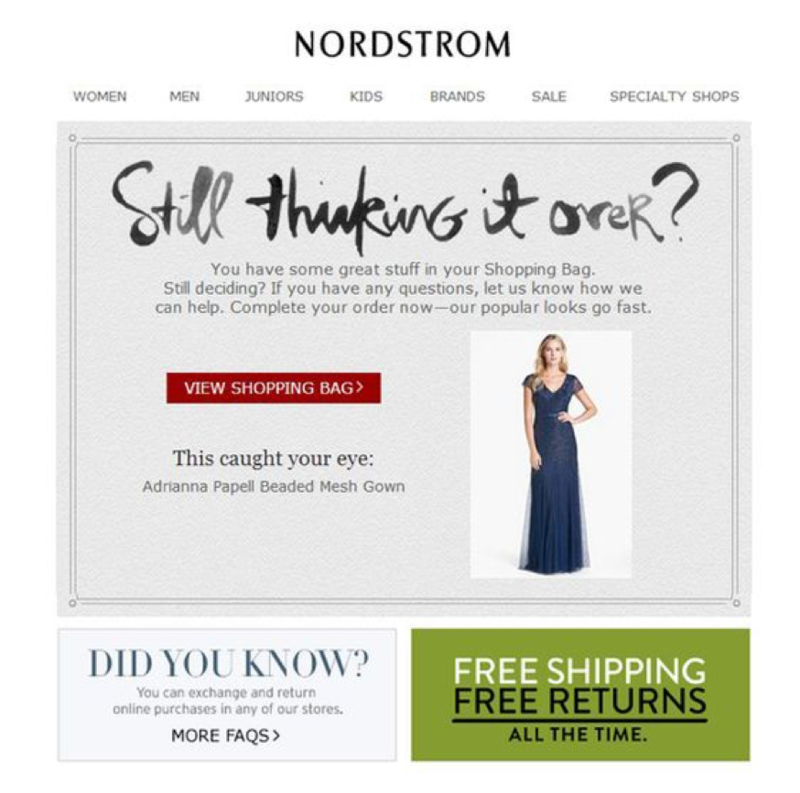 Fashion giant Nordstrom takes it a step further when it comes to email remarketing and reducing cart abandonment. Nordstrom sends a retargeted email that displays your abandoned products and invites you to go back to your shopping bag. Lastly, Nordstrom plays on the fear of missing out and highlights its “Free Shipping – Free Returns” policy. That’s it for our take on email remarketing campaigns. Check out our post on A/B testing your email campaigns to learn more ways to achieve better marketing results through personalized emails. Julia is the PR & Events Manager for AB Tasty's US Office, specializing in B2B events and community management. She has a background in digital marketing and media operations. Find her on LinkedIn.